Total liabilities are the total debt and financial obligations payable by the company to organizations or individuals at any defined period of time. Total liabilities are stated on the balance sheet by the company. Total Assets are the total amount of assets owned by an entity or an individual. 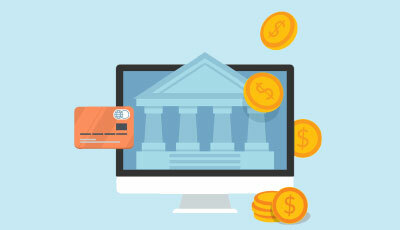 Assets are items of monetary value, which are used over time to produce a benefit for the asset’s holder. In case of the owners of Assets are a company then these assets are stated in the balance sheet for the accounting records. Let’s assume Company Anand Pvt Ltd have worth $25,000,000 of stockholders’ equity, $5,000,000 preferred stock, and total outstanding shares of $10,000,000 shares outstanding. We need to calculate the book value per share for the Anand Group of companies. This shows Anand Group of a company have the book value per share of $2. Now, we need to calculate the Book Value Per Share of Jagriti Group of Companies. Now, we have to calculate how much common shareholders will be getting from the shareholders’ equity. So, we have to deduct the Preferred stocks from the Shareholders ‘equity. Book Value per share of Jagriti Group of Companies is $47.14. 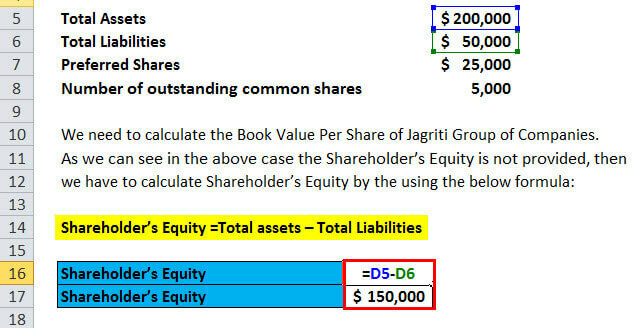 The book value per share can be used for calculating the per share value of a company. 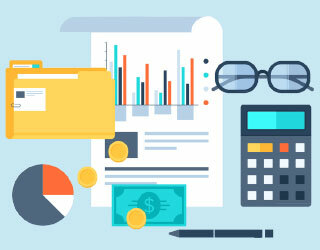 The calculation is based on the equity available to common shareholders after paying off the debts and preferred shareholders for the which the company is legally obliged. 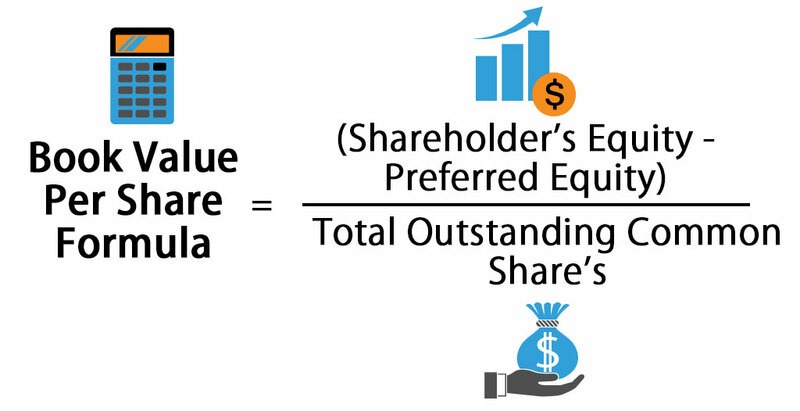 So even in the Book Value Per Share preferred shares are deducted from Shareholder’s Equity. “Book Value” of a company is also called as Shareholder’s Equity, Owners Equity. It can be calculated by deducting Total Liabilities from Total Assets. And, Book Value per Share = (Shareholders’ Equity – Preferred Equity) / Total Outstanding Common Shares. 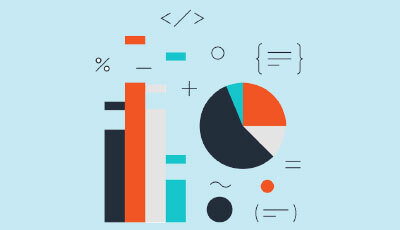 The above-mentioned data can be found on the balance sheet of the company. Book Value per share can be used by the investors for determining the equity in a company comparative to the current market value of the company, that is the current price of the stock. For example, Let’s assume Anand Ltd is currently trading for $30. But it has a book value of $15. This shows the stock of Anand Ltd is selling at double I.e. 2 times of its equity. The above example is used in valuation methodology i.e. Multiple Valuation (price to book value or P/B) or relative valuation, in this formula book value per share is used in the denominator. The current market price of the stock reflects the growth potential of the stock in contrast to its Book Value. Book value per share can be used in the relative valuation of companies. 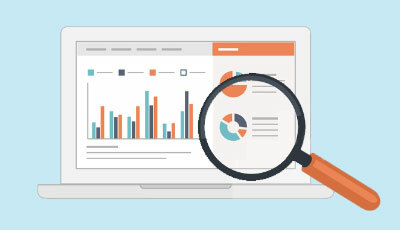 Price to Book value ratio which is also noted as P/B, Value of common stock of Company can be determined by using its book value per share or by the Company B’s price to book value ratio or the industry ratio. Book value per share can also be used in calculating the return on equity formula, which is also denoted as ROE. This is the case when ROE is being calculated on a per share basis. 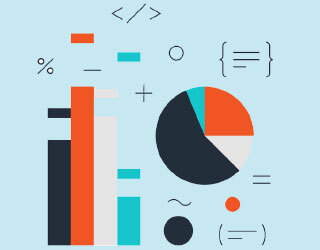 ROE can be calculated by dividing stockholder’s equity from net income. ROE per Share = (Net Income Per share or EPS)/Book Value per share. Per share basis of Net income is referred to as Earnings per share or EPS. As shown above, in the article, book value per share is expressed on a per share basis of stockholder’s equity. 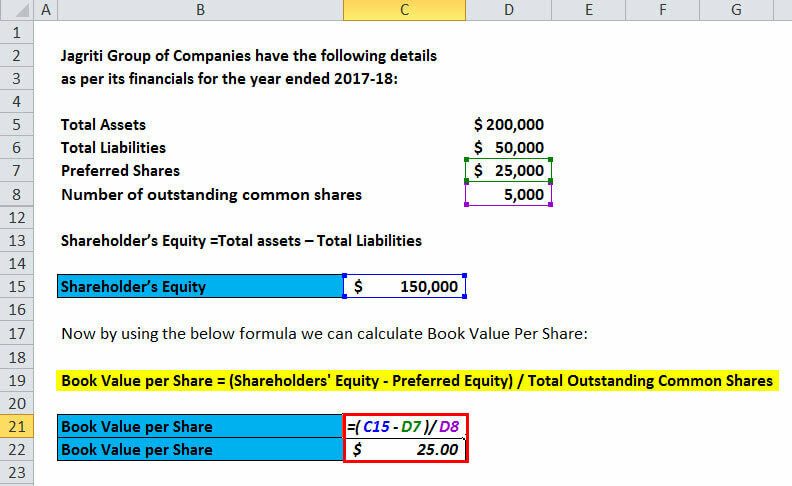 You can easily calculate the Book Value per Share using Formula in the template provided. Hence first, we are calculating the Shareholder’s Equity by using the of Shareholder’s Equity Formula. This has been a guide to Book Value per Share Formula, here we discuss its uses along with practical examples. We also provide you with Book Value per Share calculator along with downloadable excel template.